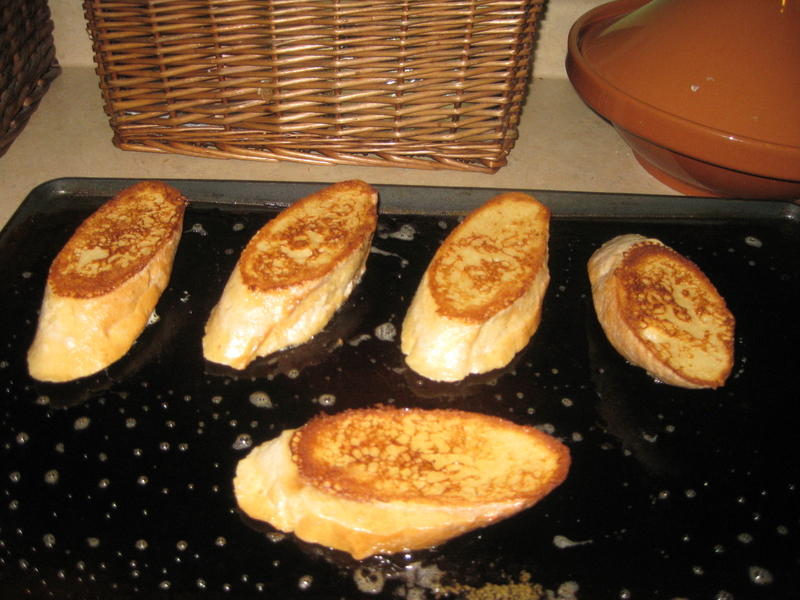 My son loves this French toast, so I nearly always make it when he visits. It’s crunchy on the outside and soft, custardy inside. 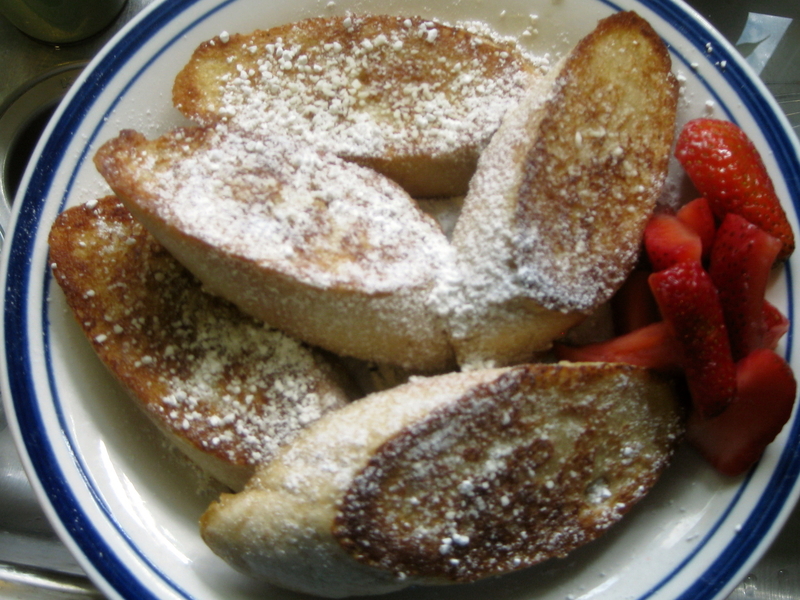 Top with a little butter and powered sugar and add some fresh sliced strawberries – ooh, la la! 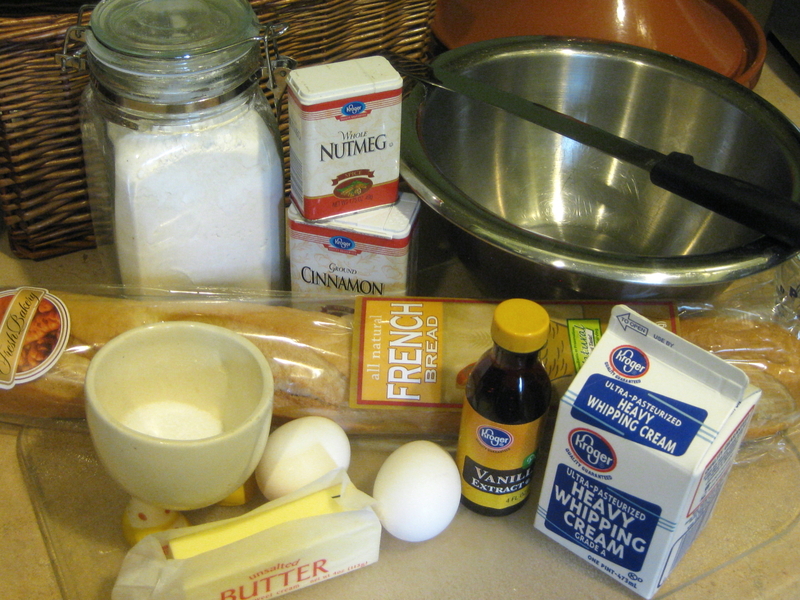 In your mixing bowl, whisk together flour, salt, cinnamon and nutmeg. 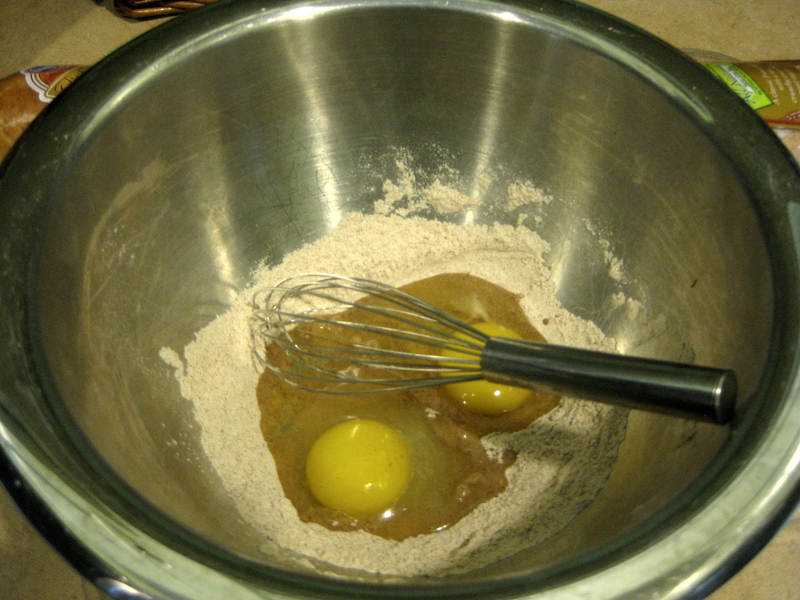 Add eggs and whisk into creamy paste. 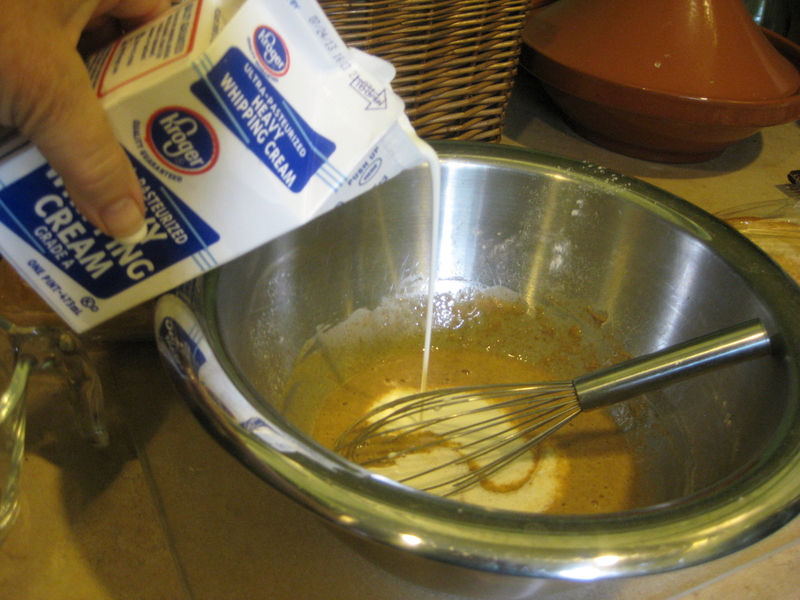 Slowly add milk and cream, whisking until lumps are gone. 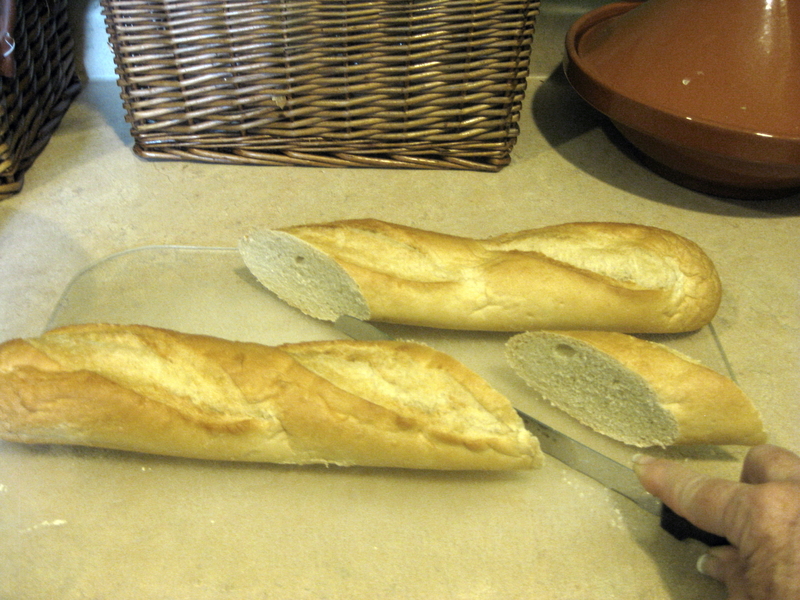 On your cutting board, slice bread on the diagonal for larger pieces about 1 1/2 thick. Cut 4 pieces per person. This much custard mixture probably is enough for at least 4-6 servings of this size. In your shallow casserole dish, pour custard about 1/2 inch deep. 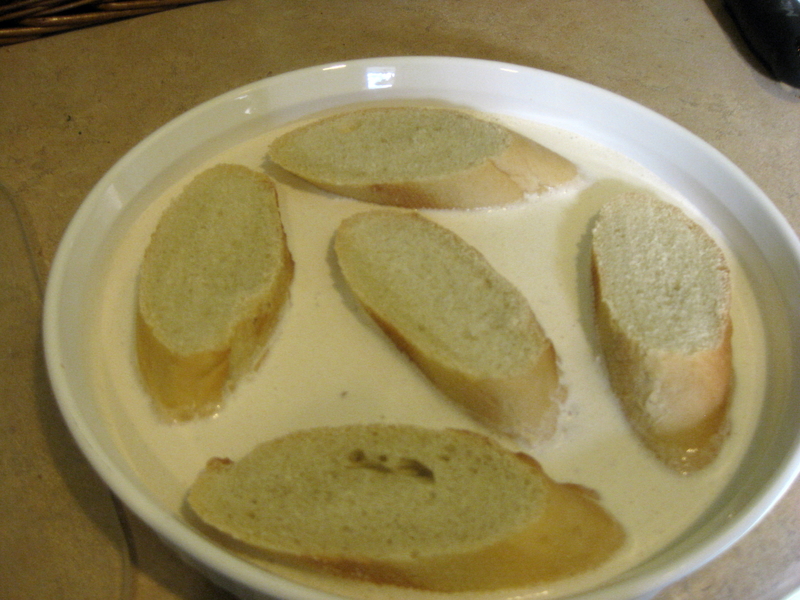 Place bread slices into mixture and let it soak up liquid for 3-4 minutes. Turn and soak for another 3-4 minutes. Use a fork to “feel” if the liquid’s soaked well. Repeat flip, if you think it needs more liquid. 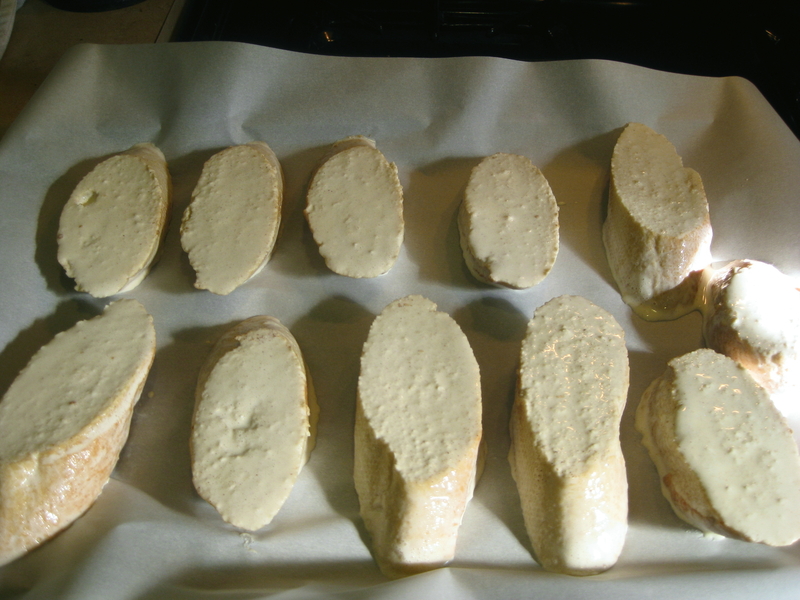 With your spatula, place each slice onto a parchment paper lined baking dish to continue absorption about 15 minutes. Place crusty slices on your plate. Add a little more butter on top, if you like, and scatter powdered sugar over the top, along with strawberries. Some folks like syrup on top like pancakes. Whatever your top them with, expect the result to be yummy.